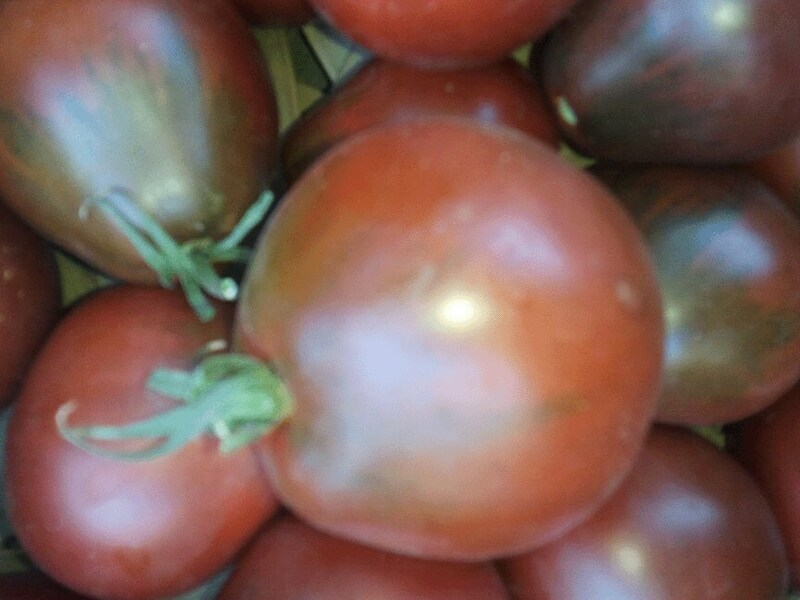 This potato-leafed indeterminate with the mysterious name is one of our favorite tomatoes. Pear-shaped mahogany-colored fruit vary in size from a thumb to a fist, with a fantastic smoky sweet taste, like a complex BBQ sauce. They’re great as a quick pan sauce for meats and stir-fries, and also delicious fresh. 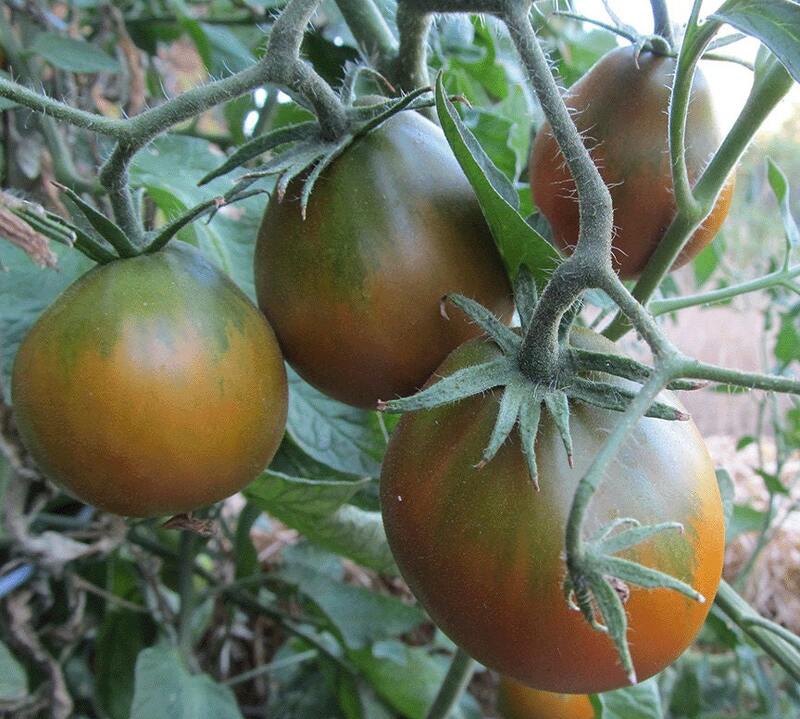 No blemishes and firm flesh make a good-looking tomato, and the plants are unbelievably productive, continuing into cold fall weather.